pain relief | Dr André Emond, Chiropractor D.C. In the past, you may have injured yourself by doing a wrong movement or lifting a heavy charge. Maybe you thought of applying ice or heat on the sore area? But when should we apply ice instead of heat? You must know that after an injury, inflammation will occur at the site of the injury. Inflammation is a normal reaction involved in the healing process. Therefore, pain, swelling and redness are usually associated with inflammation. 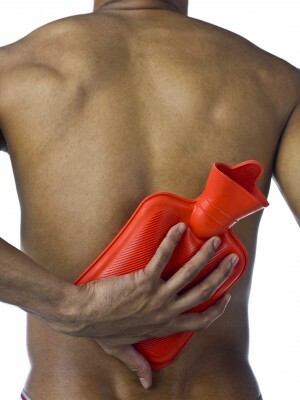 The best way to control the level of inflammation is to apply ice. Ice will decrease the diameter of the blood vessels around the injury and will help decrease the amount of inflammatory cells. The end result will be less pain and less swelling. However, you must remember that ice application shouldn’t be more than 10-15 minutes according to the site of injury and you should wait at least 1 hour between two ice applications. Why only 10-15 minutes of ice? Simply because the diameter of blood vessels will increase after 15 minutes of ice, causing increased inflammation. The icepack should always be wrapped in a thin cloth or towel to avoid direct contact with the skin. So when should we apply heat? Heat is useful to reduce muscle tension. For example, after intense training, your muscles may be sore. Heat application in that case could help you feel better. It is not always easy to determine if pain is caused by inflammation or muscle tension. My advice is: if you are not sure what to apply, apply ice instead of heat. Generally, ice application will not increase the pain, which is not the case for heat application. However, should the application of ice or heat increase the pain, stop the application and consult a doctor of chiropractic. He will be able to assist you. Finally, if you have applied ice for 24 hours (10-15 minutes/hour) and your pain is still present, contact a doctor of chiropractic. It may be a sigh that your injury is more important than you thought it was. Chiropractic care helps promote fast healing and decrease the risk of recurrence.